If you’re a traveller passionate about interesting holiday places with stunning design, then you’ve more than likely already been to some of the more famous cities with unique designs, such as Barcelona, Dubai, Rome, and more. While these are the obvious choices, they don’t present the same experience as many of the locations on this list, who bring together a combination of charm and beautiful design. Portofino, also known as the ‘Pearl of the Mediterranean’, is one of Italy’s most picturesque and romantic destinations. 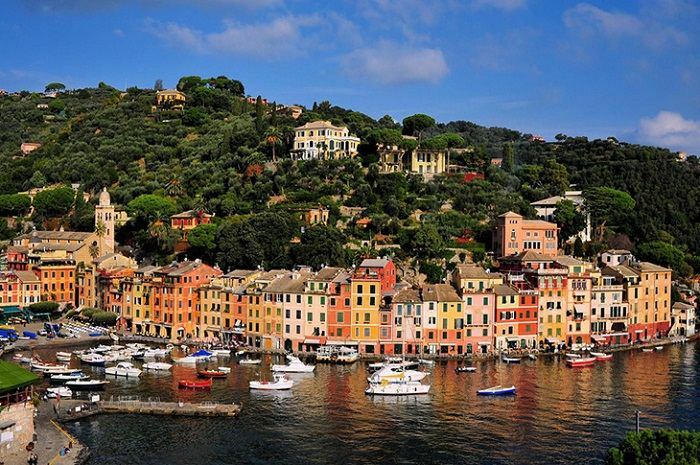 Unlike the larger cities in Italy such as Florence and Rome, Portofino is a quaint little village that attracts artists, poets, architects, and celebrities alike. The quaint village is tucked into a narrow cove overlooking the rocky coastline and experiences a very agreeable climate. Portofino’s natural environment is stunning, and when combined with the narrow streets and hidden coves, it becomes breathtaking. The city has also kept its classic design, as any architectural changes require approval. For the ultimate escape from the influences of the outside world, Finca Bellavista is the place to go. This residential tree house community is located in the south Pacific coastal region of Costa Rica, an area relatively untouched. The rustic retreat is certainly off the beaten track, and a limited number of guests can explore the natural wonders of the surrounding rainforest. The unique design of these tree houses is perfect for those who love a combination of tranquillity and architecture. Although Fina Bellavista feels a world away, the community boasts easy access to some of the country’s most stunning natural assets, such as national parks, isolated beaches, and amazing landscapes. With nine amazing locations (five in South Africa, three in Tanzania, and one in Zimbabwe), Singita Game Reserve has truly set the bar for modern luxury game lodges in Africa. Otherwise known as ‘Place of Miracles’, Singita is world renowned for providing the best safari experience in Africa, as well as providing a balance in hospitality and conservation of the community. The accommodation blends seamlessly into the natural backdrop of the Serengeti and allows you to experience the wildlife like you never thought possible. Of course, if you ever get bored of the Big Five (lion, African elephant, Cape buffalo, leopard, and rhinoceros), you can always escape to the libraries, gyms, spa, wine cellars, or pool. Singita also believes in fewer beds in larger areas so that the guests impact on the land as little as possible. This small granitic island in the Seychelles is sure to inspire your creative side. In 2003, the island was developed as a private resort with 11 villas for guests, aimed at the eco-tourism market. The unique design complements the surroundings perfectly, with each villa enjoying stunning water views. The unspoiled tropical haven includes several stretches of pristine beaches, as well as a dive school with experienced professionals ready to take you on an underwater adventure. Guests can also choose to have an in-villa spa treatment, and all guests receive a complementary 20 minute massage on arrival. If this isn’t enough, why not explore the beauty of the island or visit a library unlike any other you’ve seen. In southwest Kenya, just north of the Maasai Mara reserve you’ll find Kichwa Tembo. This lodge is made up of 50 tented rooms spread through the forest area and accessed by a mind-boggling network of paths. 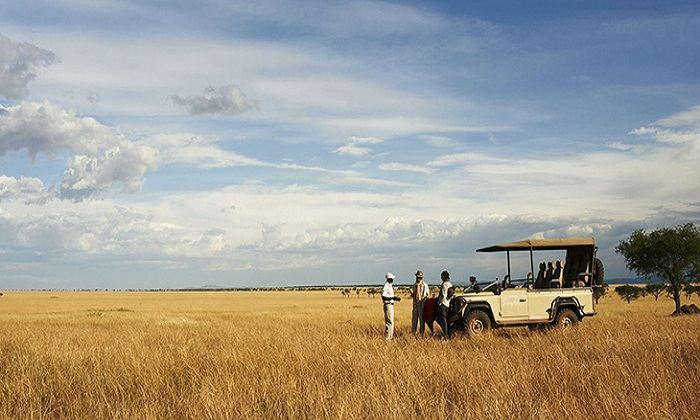 This luxury tented camp overlooks the vast plains of the Masai Mara, with excellent game viewing. Each tent includes twin beds and en-suite bathroom. The service at Kichwa Tembo is also exceptional, with butlers that remember your name, drink order, and what animals you haven’t seen yet. Enjoy a safari during the day with one of their many experts, or enjoy the view from a hammock by the pool. The Yunak Evleri Hotel in Cappadocia, Turkey, is the perfect way to explore the city’s elaborate underground cities, hidden cavernous churches, and enchanting rock terrain. 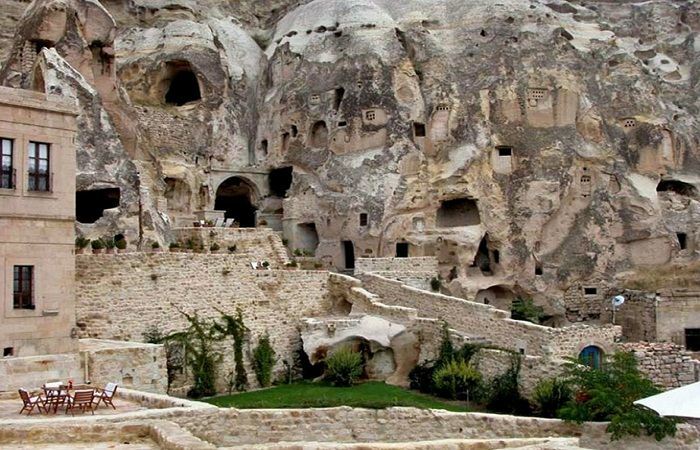 The hotel itself is carved into a mountain cliff, and includes seven cave houses, 39 rooms dating back to the 5th and 6th centuries, and a 19th century Greek mansion. These are all accessible by a labyrinth of narrow passageways and curved stone stairways. In the evenings, guests can gather around a warm outdoor fireplace and enjoy the beautiful sunset, or indulge in a romantic dinner by candlelight. This stunning resort is perfect for those who want to escape reality and lose themselves among the natural beauty Thailand has to offer. Rayavadee is nestled discreetly among tropical gardens, coconut groves, cliffs, lush jungle foliage, and the pristine waters of the Andaman Sea. The luxury resort not only offers fine dining and spa treatments, but guests can also enjoy the many activities on offer. These include day trips to other islands, kayaking through a mangrove forest, riding an elephant, rock climbing, hiking, or scuba diving. 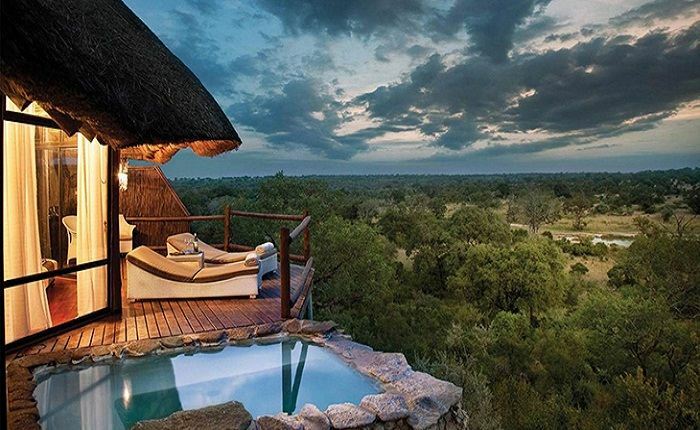 Located in the renowned Sabi Sand Game Reserve, bordering the world famous Kruger National Park is Leopard Hills. This five-star luxury lodge sits atop a rocky outcrop and offers magnificent views of the plains below. The Reserve comprises over 10,000 hectares of diverse ecosystems where guests can spot the Big Five (elephant, lion, rhino, buffalo, and leopard) and view them up close. The lodge features glass-fronted suites, each with private plunge pool and superb game-viewing. Fine dining is also available, making it the perfect safari experience. Hanging Gardens is a beautiful boutique resort situated in the heart of the Balinese jungle – the perfect place to escape the busy beach resorts and party lifestyle. Here you can kick back and relax among the beautiful and natural tropical environment. The surrounding area is a combination of everything that makes Bali beautiful – scenic fields, small villages, ancient temples, small villages, and pristine beaches. The resort includes 38 private suites and individual villas, each designed in complete harmony with nature. Of course, a trip here wouldn’t be complete without visiting the split-level infinity pool, one of the most photographed pools in the world, and number one of Trip Advisor’s list of 10 jaw-dropping hotel pools. Guests will feel like they’re swimming above the treetops in this amazing pool made of solidified volcanic ash. For those who want to enjoy all the luxuries of a beach resort without leaving a carbon footprint, Haad Tien Beach Resort is perfect for you. The resort works in total harmony with the environment and they even grow their produce on site. The resort contains 70 private villas spaced out over 45 acres of land, and features its own 380 metre secluded beach at the southern tip of Koh Tao. 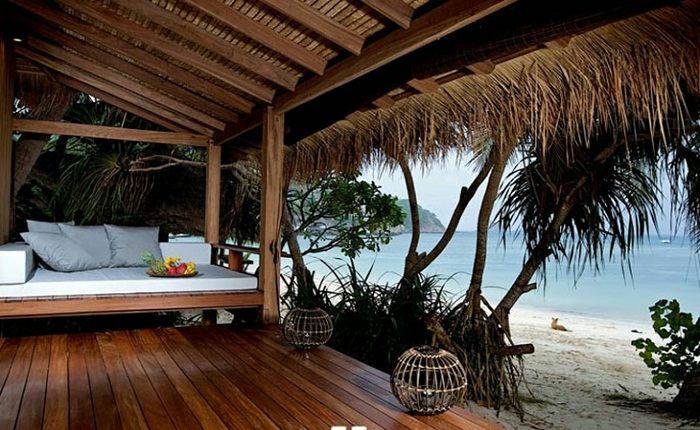 The barefoot luxury combined with activities such as scuba diving, makes Haad Tien the perfect getaway. In beautiful Parksville, British Columbia, lies Tigh-Na-Mara Seaside Spa Resort. The 192 unique log constructed accommodation units offer amazing ocean views. The resort is home to the Grotto Spa, offering signature treatments, as well as a huge warm water pool. Fine dining is also on offer here, as well as a wide range of activities including whale watching, fishing, golf, exploring caves, kayaking, and more. The resort even won Trip Advisor’s Travellers’ Choice Award in 2012, as well as a number of other awards. 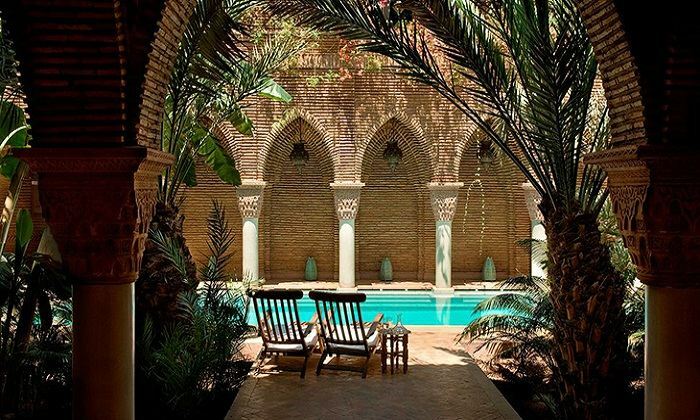 At this beautiful resort situated in Morocco’s most famous city, Marrakech, guests will experience all the comfort and amenities of a Western luxury hotel, but with an authentic Moroccan touch. The inside of the hotel is charming, and every inch will amaze you with the furnishings, walls, and bedrooms. The resort also includes its own little exotic paradise consisting of gardens and swimming pools. Indulge in an open-air massage or explore the famous city knowing you have a little piece of North Africa to unwind in. 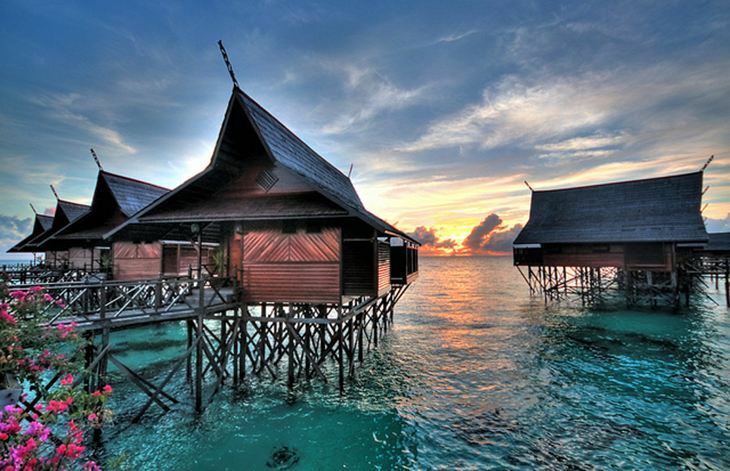 A short way from Mabul, but with no land to be seen is the Sipadan Kapalai Dive Resort, which sits on sturdy stilts on the shallow sandbanks of the Ligitan Reefs. While the resort offers a mile-long sandbank of powdery white sand, its main attraction is the pristine waters perfect for diving. Dive sites are extremely close and can be reached by boat or simply by swimming from the dive centre pier. For those who want to explore further, a range of different dive sites are available a little further away near Kapalai or Mabul. This picturesque village has long been sought after by locals and tourists alike. Situated near Lisbon between the mountains and the sea, the postcard-perfect village is ideal for a day trip. The village is entirely situated on a cliff, with beautiful white houses nestled together and overlooking the ocean. The village also contains an amazing set of pools dug into the cliff during the 1950s, and some incredible restaurants offering views of the ocean. 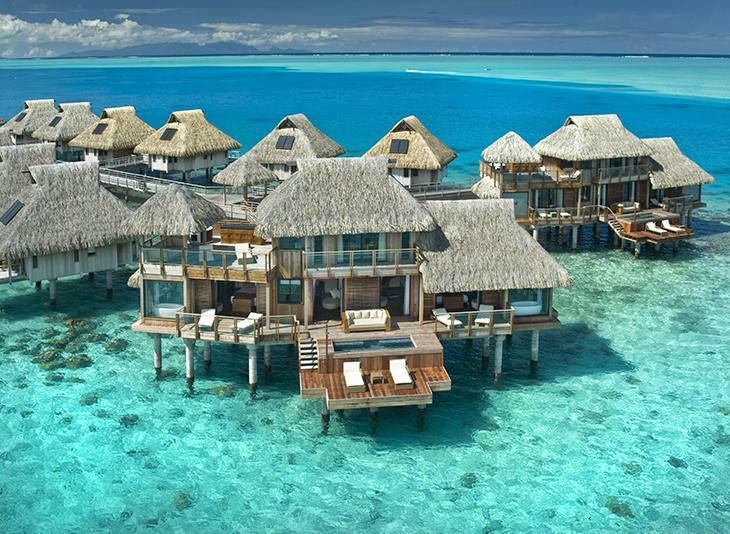 Set over 2 stories, this amazing villa in Bora Bora features 2 bedrooms, 3 bathrooms, 1 wellbeing room, 2 dressing rooms, and a living room. In the wellbeing room, guests can relax with a massage, or unwind in the sauna. The villa also boasts its own personal pool, whirlpool, sundeck, and of course, direct access to the crystal clear water below. Although you may not fell the need to leave this stunning villa, don’t forget the resort also offers jet skiing, scuba diving, and snorkelling among the exotic marine life.